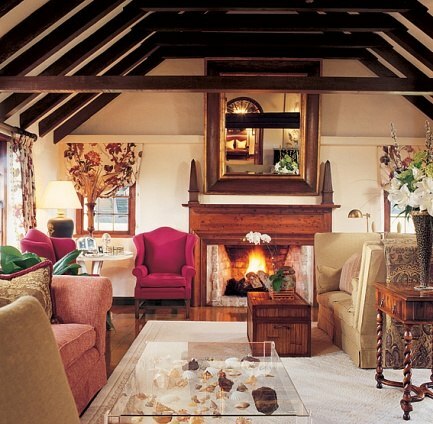 For decades Architectural Digest has given its readers a look into the homes of celebrities. 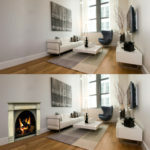 And those homes always feature beautifully designed fireplaces. 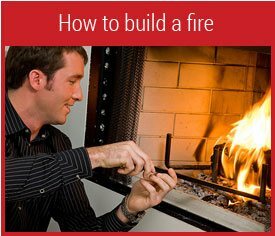 Read on to see some of these beautiful fireplaces and learn how you can get the same look in your home. Cher’s 16,000-square-foot mansion, designed by Ron Wilson and the Cher, is styled after an Italian Renaissance villa, full of hand-carved marble, travertine tile, and ornately carved furnishings. The fireplace mantel pictured above was hand-carved in Mexico in the Gothic Revival style. The large candle holders flanking the fireplace complete the Gothic look. The large stone fireplace seems like something out of a Medieval castle, with it’s grand size and complex carvings. Want this look, but don’t have a Cher-sized budget? 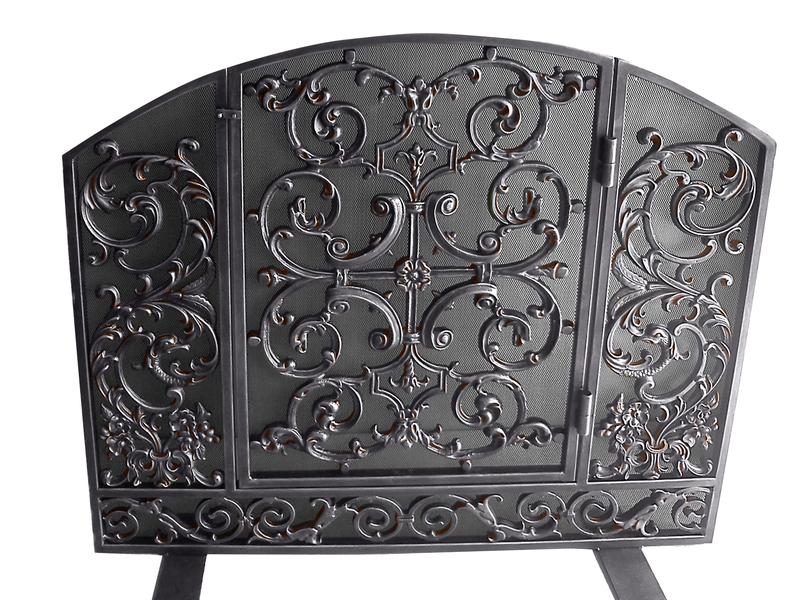 A cast-iron screen like the Verona Fireplace Screen, with its elaborate scroll work, would give your fireplace that Gothic look. 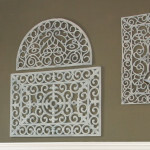 Verona Fireplace Screen- Get the Look Here. When Michael Douglas and Catherine Zeta-Jones were looking for a home in Bermuda, they wanted a peaceful retreat where they could escape the hustle and bustle of everyday life. As a result, the home is full of plush furniture, comforting hues, and warm lighting. 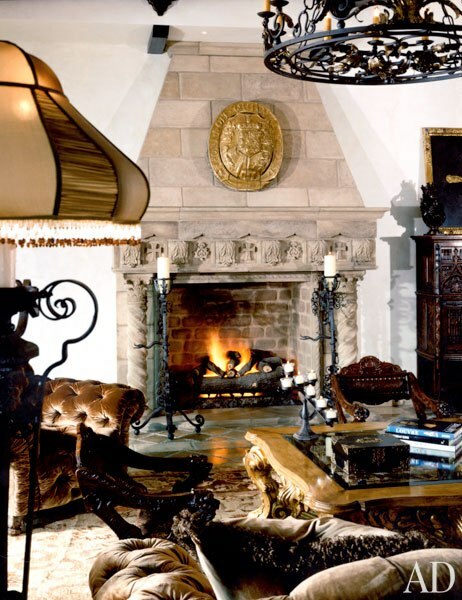 The fireplace in the living room, pictured above, is designed to emit of soft glow and create a sense of warmth and coziness, compared to the imposing stonework of Cher’s Gothic Revival fireplace. To get this comforting look, go with rustic, rough-cut brick or stone. 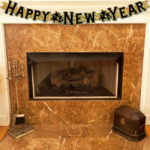 The large stained wood mantel really completes the fireplace. For your home, go for reclaimed wood, the more knots and grain the better. A warm, reddish stain will give that cozy feeling you’re looking for. Known for his weird and wacky comedy, SNL veteran Will Ferrell also has a sleek, modern sense of style. His Manhattan loft, once a Victorian-era printing factory, features stark white and black contrasts, bright lighting, and exposed structural elements. Contemporary artwork is featured throughout the house, often with bright colors that “pop” nicely against the stark white walls. The living room fireplace is a sleek built-in glass and stone affair, fueled by gas. The sleek design fits in perfectly with the decor of the loft, while providing both literal and figurative warmth to the room. 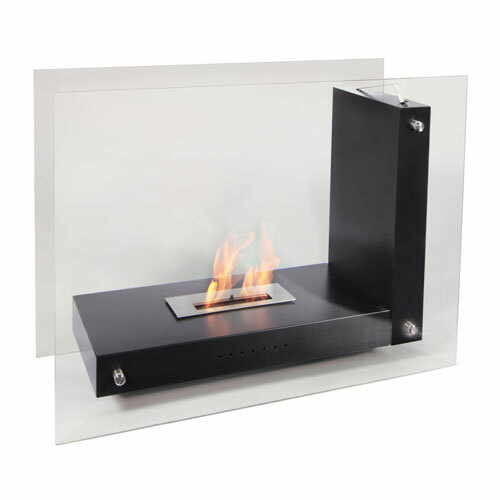 To get the same sleek look in your home without the construction hassle of a built-in unit, check out the Allure Bio Fuel Fireplace. 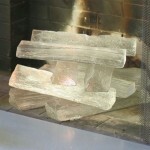 Allure Bio Fuel Fireplace. Get the Look Here. The Allure Fireplace is just shy of four feet wide and stands at over two feet tall, so it will be a commanding presence in any room. And because it is fueled by bio fuel, it’s completely portable. 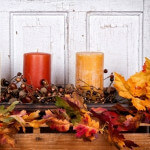 You can even use it outside as a stunning centerpiece during parties. Last updated by Tom at June 12, 2013 .